In need of adjustable tie rod ends? Look no further than these from Megan Racing. Car alignment is absolutely crucial when modifying your car. Alignment can effect every aspect of your driving experience, from straight line stability, understeer, oversteer, acceleration, braking and tire wear. Although stock components allow slight alignments from the stock suspension settings, they often are not able to properly align the car after the suspension has been modified. These Outer Tie-Rod Ends are compatible with both our Inner Tie-Rods and the OEM Tie Rods. 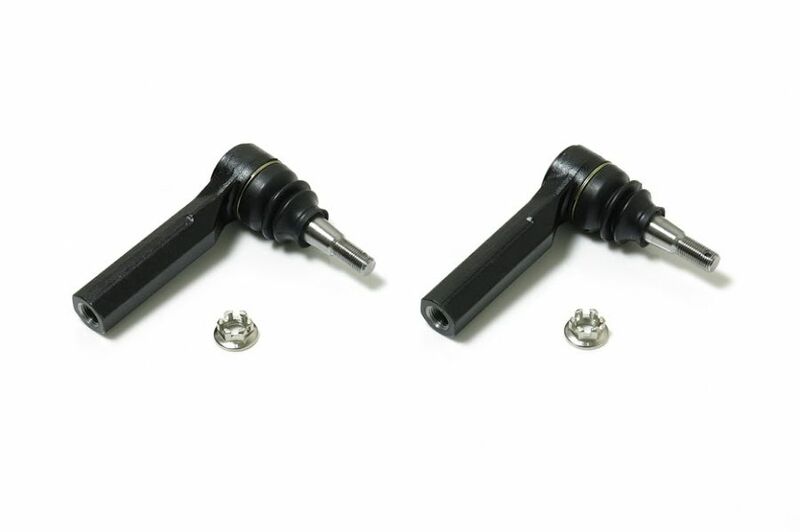 They replace the OEM units with a high strength aluminum alloy Tie Rod End. Designed to be used to fine tune Toe-Adjustments and by proper use of spacer combinations. Sets proper suspension geometry to achieve the most steering angle possible which is crucial for drifting and other motorsports. Looking for a roll center adjuster kit? 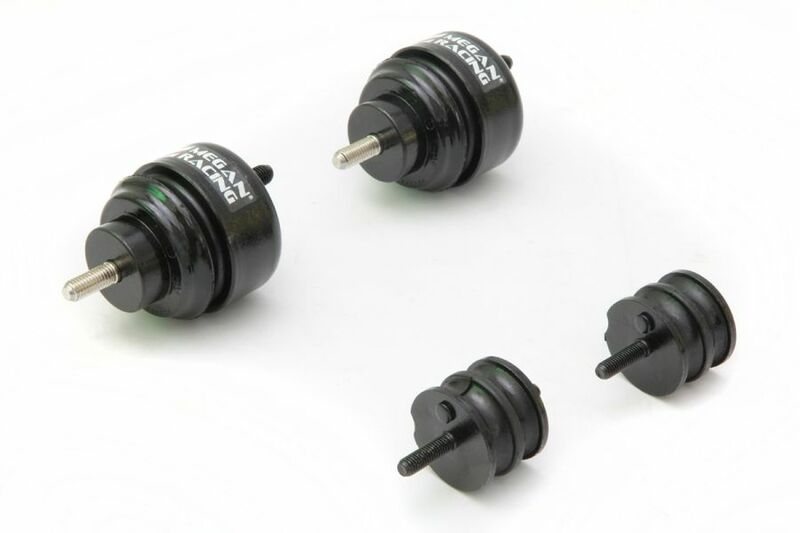 Take a look at the Megan Racing roll center adjusters. Megan Racing has unveiled our line of reinforced suspension arms that offer the strength and adjustment that any competition vehicle will ever need. Constructed of high-strength steel alloys that offer durability, strength and yet remain light-weight. Secondly these control arms have been track tested in road race, autocross and drift events to assure quality and performance. Car alignment is absolutely crucial when modifying your car. Additionally alignment can effect every aspect of your driving experience, from straight line stability, understeer, oversteer, acceleration, braking and tire wear. Stock components allow slight alignments from the stock suspension settings. However they often are not able to properly align the car after the suspension has been modified. Roll-Center adjusters correct the suspension geometry of a lowered vehicle. Similarly the uneven length of suspension arms causes Toe adjustments to occur drastically during braking suspension “squat”. These Roll-Center Adjusters make up for the travel in the suspension arms to return suspension geometry to it’s correct starting point. In conclusion this allows alignment and steering to remain more consistent and predictable during aggressive driving and competition. In the market for upgraded engine mounts or transmission mounts? 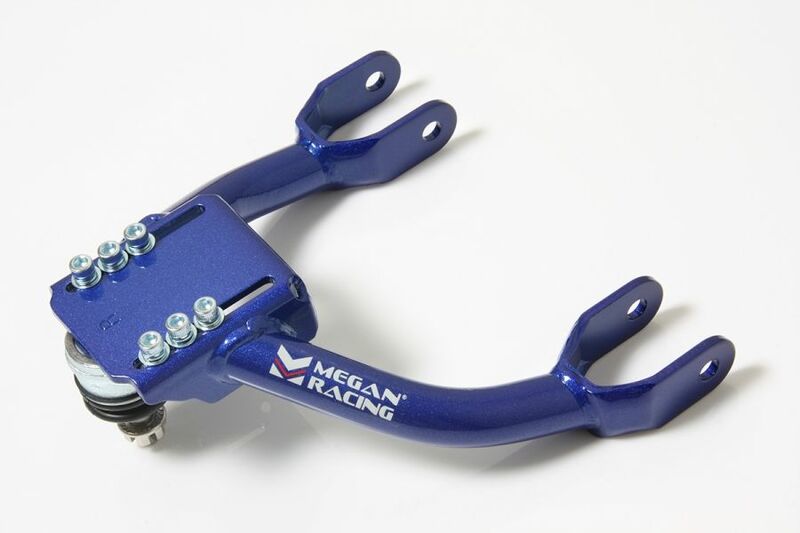 Check out the collection of performance mounts from Megan Racing. Through the years the soft rubber bushings deteriorate after constant flexing and vibration as well as weather exposure. Additionally this can cause them to tear and may seriously damage your engine and transmission. For this reason Megan Racing has developed a Hard-Rubber/Polyurethane motor and transmission mount. 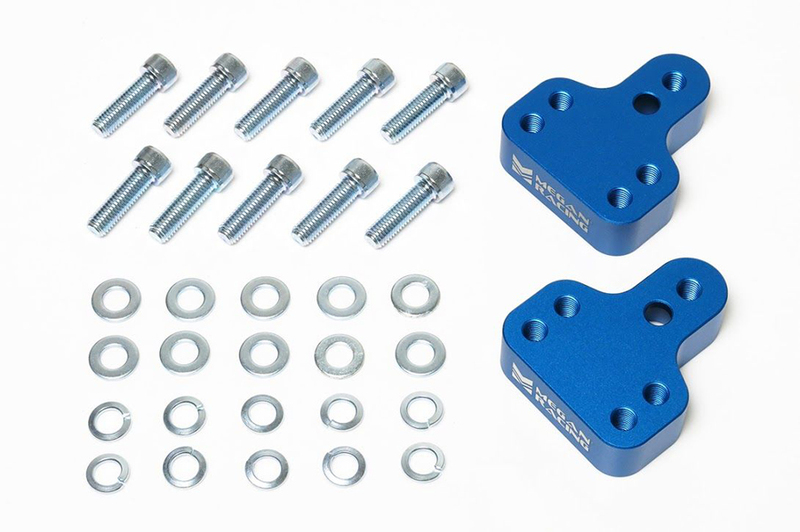 For instance these reinforced mounts are perfect for the enthusiast who is looking to get the most from their vehicle. These mounts allow more energy to be transferred to the wheels instead of absorbing the energy into the soft rubber. In conclusion it is a wise investment to upgrade rather than just replace a worn out engine mount. These quality engine and transmission mounts from Megan Racing will keep you in peak performance for years to come. Megan Racing Coilover Conversion Kits. 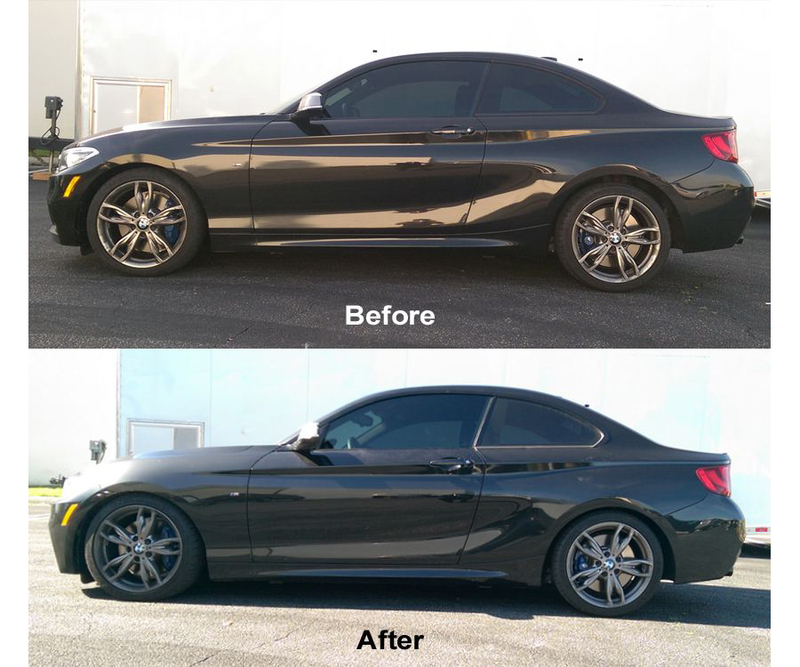 Our Front and Rear Coilover Hi-Low Kit allows for height adjustment of the vehicle. Constructed of 6061 CNC Machined aluminum sleeves and SAE 9254 Cold Wound Steel coil springs. 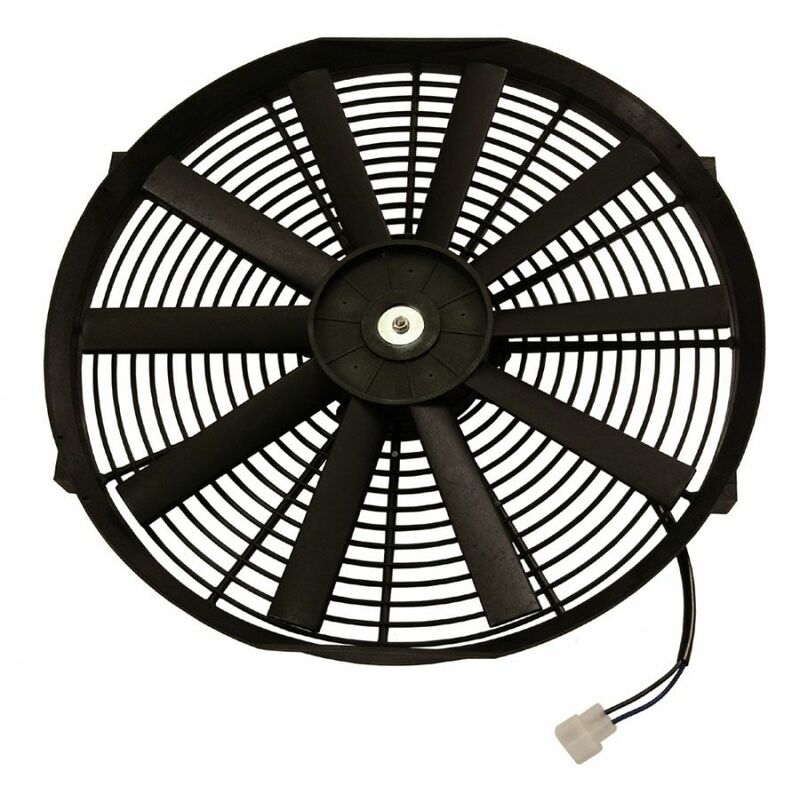 The coil-over system is designed for competition as well as high-performance street use. 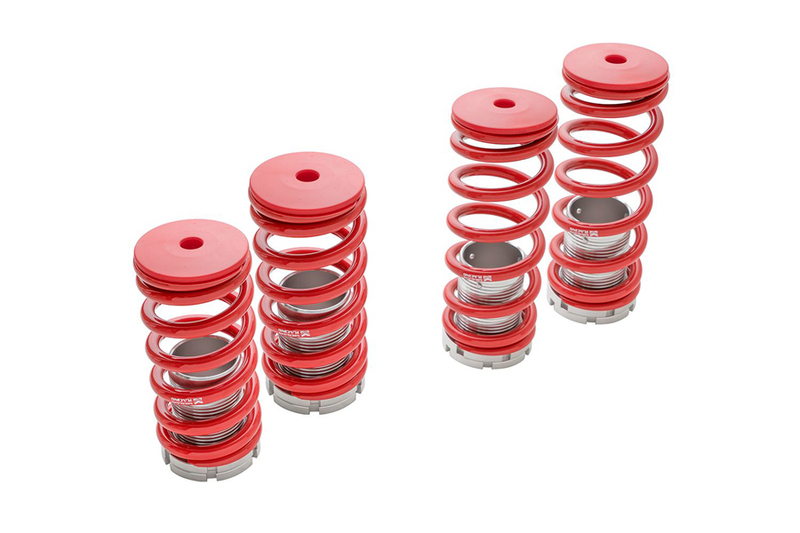 The higher spring rate in the suspension drastically improves handling of the vehicle in turns. Additionally reduces wheel hop and improves weight transfer during hard acceleration. Adjustable from 0-3″ drop, the coil over suspension also improves the appearance of your car by reducing fender gap between the wheel and the body of your car. Featuring hard-plastic caps to prevent shock failure and priced well below Megan Racing competitors, Megan Racing coil-over kits prove you don t have to spend a fortune for high-performance and quality. Finally Driven By Style has been an authorized Megan Racing dealer for over 10 years now. We have the experience and knowledge to answer any questions you may have. In conclusion it is our goal to give you the best price and service when buying Megan Racing products. Introducing the Megan Racing Silver RS Sport Struts. Our most recent addition to our expansive suspension line up, Megan Racing Silver-RS Sport Struts are aimed towards the more budget oriented enthusiast that offer the most basic essentials from an after-market replacement shock or strut setup. 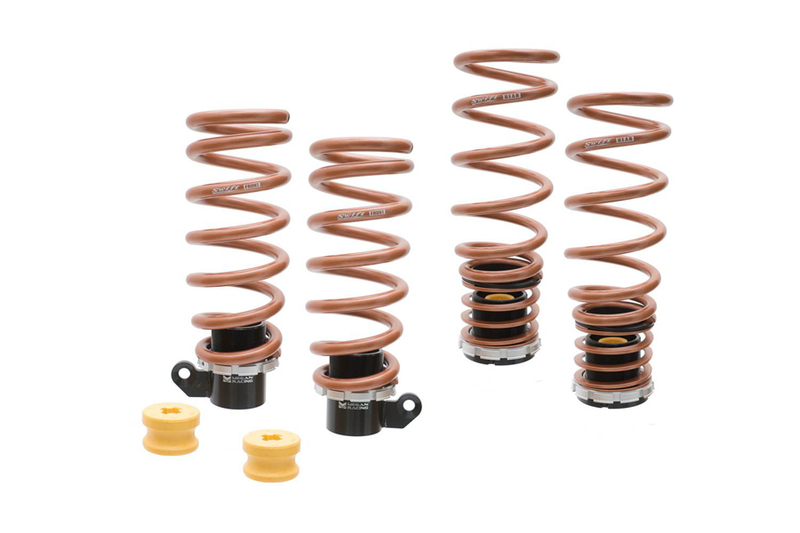 These replacement sport shocks work great with Megan Racing Lowering Springs, yet makes no compromises for quality and performance, best options for improved control and handling. 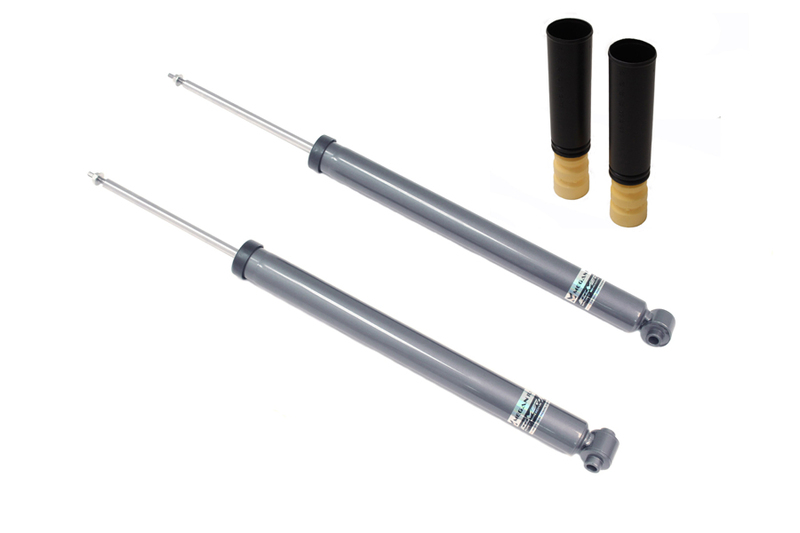 We advise using fresh shocks and struts with all lowering spring installations. Therefore you will see the maximum performance and comfort that your vehicle deserves. Finally Driven BY Style has been an authorized retailer for Megan Racing for over 10 years. We have the experience and knowledge to answer any questions you may have. In conclusion we guarantee the lowest pricing and best service when purchasing Megan Racing suspension products. In other words we will treat you right and give you a great deal! Introducing Megan Racing Pro-S Lowering Springs. The Pro-S Series Lowering Spring System by Megan Racing is a Height Adjustable Lowering Spring System. Offering an inexpensive, yet high-quality solution for vehicles equipped with factory electronically adjustable shocks and struts that cannot use conventional coilover systems. Secondly factory springs and spring seats are replaced with Megan Racing’s adjustable threaded bases offering ride height adjustability. Another benefit is corner balancing capabilities while retaining the vehicle’s electronic damping ability. Driven By Style is your source for the best pricing on Megan Racing performance and suspension upgrades. Additionally we have been a Megan Racing authorized retailer for over 10 years now. Our friendly knowledgeable staff has the experience to answer any questions you may have. In conclusion we aim to be your one stop shop for Megan Racing quality upgrades and accessories. Megan Racing Euro Lowering Springs are constructed of SAE 9254 Cold Wounded Steel, one of the strongest materials available. The high tensile strength and phosphate powder coating delivers outstanding spring rates that are extremely durable and resist premature “sagging”. The result is a spring that specifically offers racecar handling, yet maintains smooth and comfortable ride characteristics. Carefully matched springs rates provide exceptional handling, response, control and balance. These springs offer a generous drop to your car while remaining very “streetable” by having enough clearance to avoid bottoming-out; and the lowered center of gravity improves performance and increases stability, as well as enhancing the appearance of the vehicle. (Note: Spring rates and drop amount vary by different vehicle application and chassis load.) Buy your Megan Racing Euro Lowering Springs today. Finally we guarantee the lowest price n Megan Racing lowering springs. Megan Racing Lowering Springs are constructed of SAE 9254 Cold Wounded Steel, one of the strongest materials available. The high tensile strength and phosphate powder coating delivers outstanding spring rates that are extremely durable and resist premature “sagging”. Therefore the result is a spring that specifically offers racecar handling, yet maintains smooth and comfortable ride characteristics. Additionally carefully matched springs rates provide exceptional handling, response, control and balance. Secondly these springs offer a generous drop to your car while remaining very “streetable”. 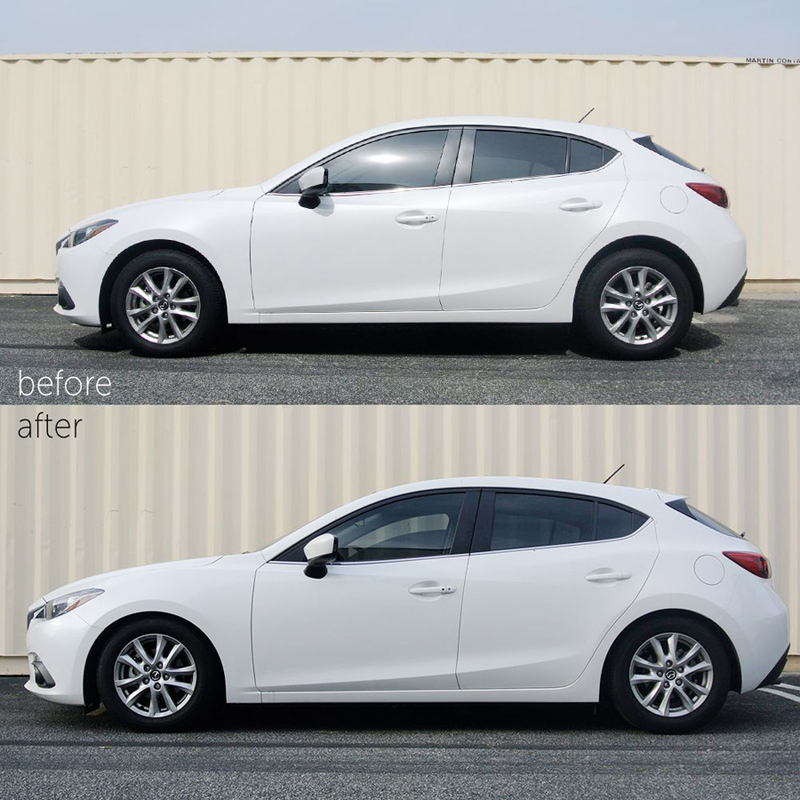 However by having enough clearance to avoid bottoming-out; the lowered center of gravity improves performance and increases stability, as well as enhancing the appearance of the vehicle. (Note: Spring rates and drop amount vary by different vehicle application and chassis load.) In conclusion not only will these Megan Racing lowering springs make your car handle better it will look better too!